Washington, D.C. - The U.S. Senate has unanimously passed a bipartisan measure condemning the horrific, anti-Semitic attack at the Tree of Life synagogue in Pittsburgh. A resolution, offered by Senators Pat Toomey (R-Pa.) and Bob Casey (D-Pa.) and cosponsored by the entire Senate, mourns the victims who were senselessly murdered and expresses the hope that their memory may be a blessing to their families and community. This resolution expresses support for a full recovery for those injured in the attack and the medical professionals who provided, and continue to provide care. Finally, the resolution honors the selfless and dedicated service of law enforcement and emergency response officials who responded to the attack. "On October 27th, Pittsburgh, the Jewish community, and our entire country were shaken by a horrific, anti-Semitic attack that occurred during Shabbat morning services at the Tree of Life synagogue. This attack was a cowardly act of brutal violence, fueled by anti-Semitism, a corrupt and repulsive ideology that betrays our most fundamental values as a nation," said Senator Toomey. "I greatly appreciate my colleagues unanimous support for the city of Pittsburgh and the Jewish community." 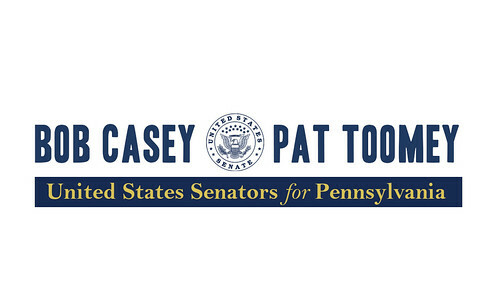 "I commend my Senate colleagues for standing with me and Senator Toomey in solidarity with the Tree of Life congregants, members of the Pittsburgh Jewish community and our Jewish brothers and sisters across the nation to denounce not only this act of anti-Semitism, but all acts of violence and harassment motivated by hate," said Senator Casey. "Acts of terror like the shooting at Tree of Life Synagogue-violent acts that target Americans based on race, gender or ability, based on whom they love or how they worship-break the fundamental promise that our country makes to Americans and to the rest of the world." The resolution, in its entirety, is provided below. Condemning the horrific, anti-Semitic attack at a synagogue in Pittsburgh, Pennsylvania, expressing support and prayers for all those affected by the tragedy, and applauding the dedication and bravery of law enforcement and emergency response officials in responding to the attack. (C) to ensure the safety and security of all people of the United States.